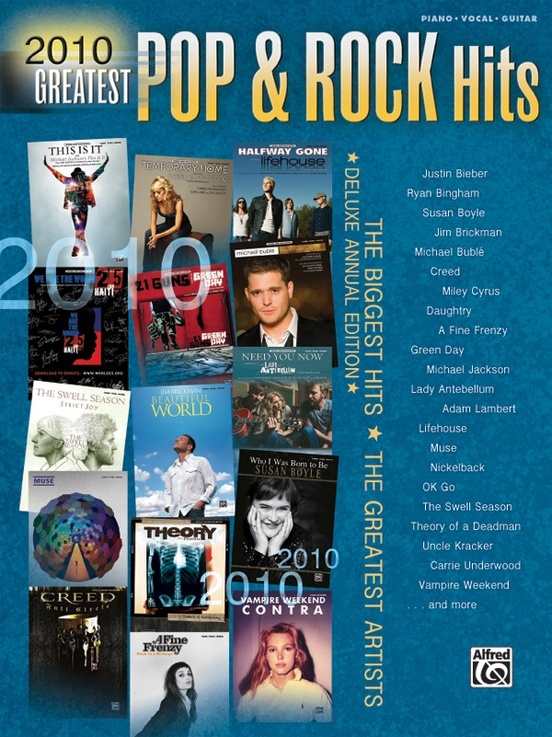 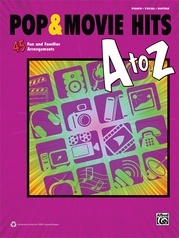 From pop gems to hard rockers, these are some of the biggest hits of 2010! 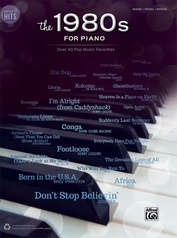 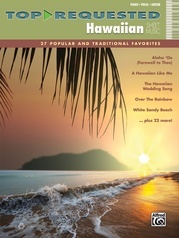 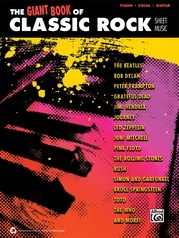 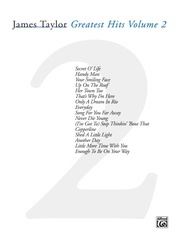 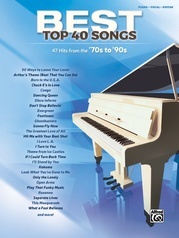 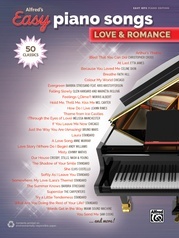 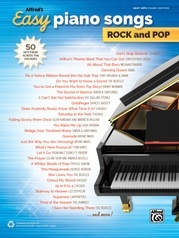 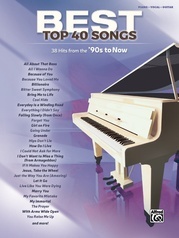 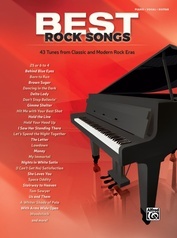 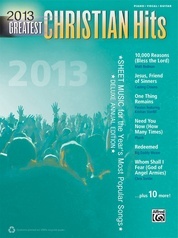 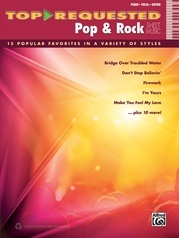 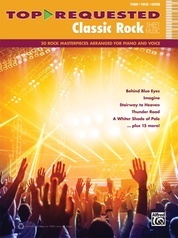 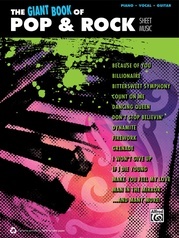 More than 200 pages of sheet music capture the year's most memorable songs to play and sing for a lifetime. 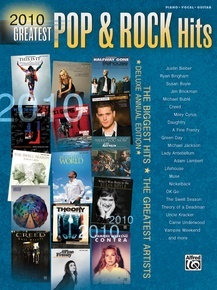 Titles: 21 Guns (Green Day) * All or Nothing (Theory of a Deadman) * Baby (Justin Bieber featuring Ludacris) * Beautiful World (We're All Here) (Jim Brickman and Adam Crossley) * Cousins (Vampire Weekend) * Crazy Love (Michael Bublé) * East Jesus Nowhere (Green Day) * Electric Twist (A Fine Frenzy) * Everything to Me (Monica) * For Your Entertainment (Adam Lambert) * Halfway Gone (Lifehouse) * Haven't Met You Yet (Michael Bublé) * I Belong to You (+Mon Cœur S'Ouvre a Ta Voix) (Muse) * Kissin U (Miranda Cosgrove) * Life After You (Daughtry) * Low Rising (The Swell Season) * Need You Now (Lady Antebellum) * Never Gonna Be Alone (Nickelback) * No Surprise (Daughtry) * Party in the U.S.A. (Miley Cyrus) * Rain (Creed) * Smile (Uncle Kracker) * Temporary Home (Carrie Underwood) * This Is It (Michael Jackson) * This Too Shall Pass (OK Go) * Undo It (Carrie Underwood) * Uprising (Muse) * We Are the World 25: for Haiti (Artists for Haiti) * The Weary Kind (Theme from Crazy Heart) * Ryan Bingham * When I Look at You (Miley Cyrus) * Who I Was Born to Be (Susan Boyle) * Wild Horses (Susan Boyle).